Blending local professional musicians with volunteers, the recording was believed to be the first time a local community had banded together to record, produce and release a single. The Helensburgh Heroes Experience version of Heroes featured 12 lead vocalists, 5 musicians and a choir of 60 was recorded in Glasgow’s Carlton Studios and on location around the Helensburgh area. 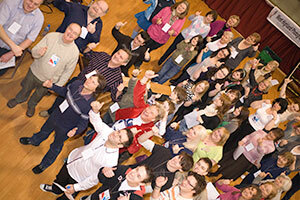 As part of the project the Charity created its own music label – Helensburgh Heroes Records. The song is available to download from all major online music etailers such as iTunes, HMV, Amazon, Spotify, Nokia Music, Google Play and 7Digital. All proceeds from the sale of this record will be used towards creating the Heroes Centre. 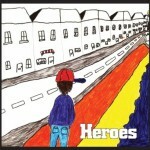 Go On Download it now and help us build the Heroes Centre!